Instructor-Led Training is critical to your learning strategy, but are you still running your operation via email and spreadsheets? Meet Training Orchestra’s Training Management System: a more efficient way for you to manage, track, and sell training. Watch how Training Orchestra works! Training Management Software: Training, Optimized. Our Training Management Software streamlines your entire training process, letting your teams collaborate effortlessly on session scheduling, resource planning, budget optimization, reporting and more – while handling multiple locations, languages, and currencies with ease. 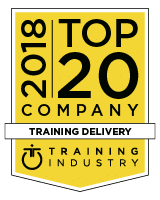 Training Industry names Training Orchestra to its Top 20 Training Delivery Companies list for two consecutive years – 2017 & 2018. 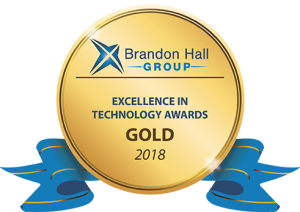 Training Orchestra wins Gold in 2018 for Best Advance in ILT Management & Delivery by Brandon Hall Group. Additional awards earned in: 2017, 2016 & 2015. Training Orchestra recognized as a Strong Performer in Fosway’s 9-Grid for Learning Systems 2019 & 2018. With over 500 customers around the world, Training Orchestra’s Training Management Software System adapts to meet your operation’s unique needs. Instructor-led Training is engaging and drives retention better than eLearning but it is more costly than it has to be. As more than two-thirds of budgets are often invested in ILT, our training management software helps training organizations significantly reduce operating costs. You can re-invest those savings the way you want – to train more people and innovate learning. As a leader in training management systems, Training Orchestra has implemented the industry’s best practices in an easy-to-use unified platform dedicated to the success of your organization. Designed by training professionals for training professionals, our solution is configured to perfectly match the needs of your organization.